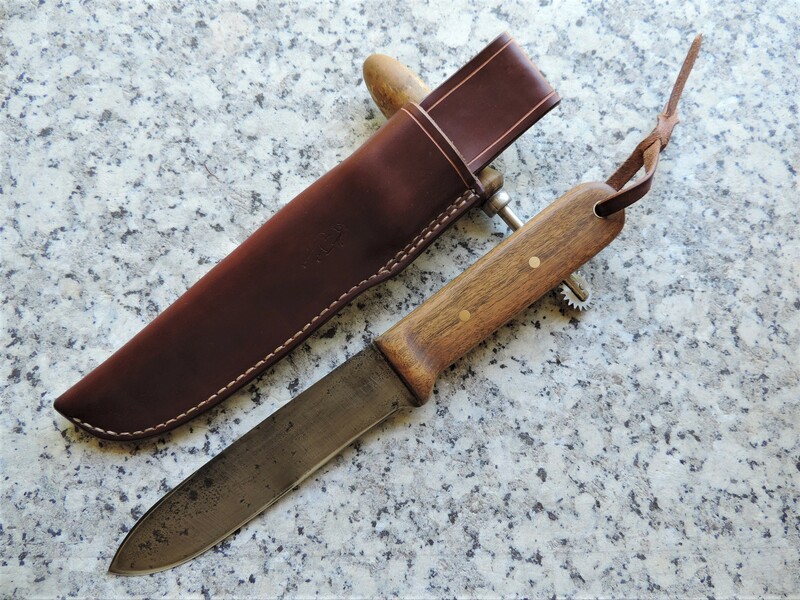 I fashioned a Horace Kephart knife copy from an old Ex-Army butcher's knife and wanted a "rustic" sheath to go with it. Turns out the 'scrap' leather I plucked from the bin is some of the best leather I've ever worked with. And "nope"... I have no idea where it came from - wish I had a side of it stashed. At least the sheath style is sort-of of the same period as the knife and will get 'rustic' with use. Nice job, I like the basic yet usable design of the Kephart. All times are GMT +10. The time now is 21:15.